Video montage of our baptism service 4.16.2016. Click on the picture to watch it. Our semester is winding down at SDSU but we have still been working in full gear to disciple students, reach the lost and develop leaders. Our highlight of this last month was our baptism service. 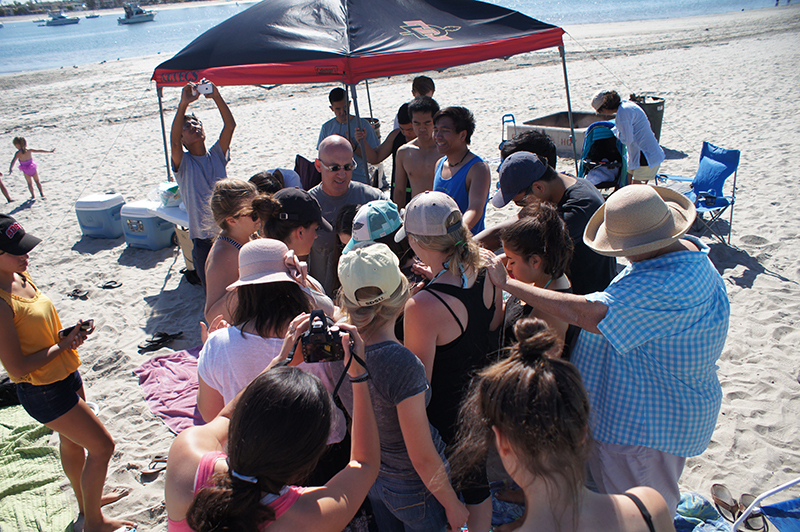 We had a huge BBQ celebration down at the beach, worship and the baptism of 6 students. We have already told some of these students stories like Amy and Hope who had both lost their childhood faith and considered themselves atheists/agnostics before reconstructing their faith this past year. Dong has a similar story. Growing up an atheist in China he found himself in the Chinese military without hope and living in despair. God began to bring hope into his life through some Christian acquaintances and Dong has seen God working in his life these past two years especially in leading him to San Diego State where he was able to get connected with Chi Alpha. Through a year of discipleship and community, Dong was finally ready to say “I’m all in” and showed everyone by getting baptized. Aloma grew up in a spiritual family that often prayed and tried to live a good life, but it was only in the last year or two that Aloma really started to put a name to her faith and realize that Jesus is the center of it all. She has seen so much growth this year that she went through our leadership process to become a student leader next year and culminated it all in getting baptized to demonstrate how much her life has been changed! Randolf grew up in a devoted Catholic family, but never made any faith his own until he had a crisis in which he felt he had lost hope, but also felt God speaking to him in the midst of it. He turned to his junior high friend Jeff, who also happens to have been our student president this past year. Jeff helped Randolf to see how he could have a relationship with Jesus who is the hope of the world. Randolf has been playing guitar on the worship team this semester and celebrated giving his life to Jesus by being baptized in front of three of his friends he brought with him. Vanecia came to Christ a few years ago through a local church but had never been baptized. She was one of our first three student leaders for Chi Alpha at SDSU. Just this last semester she joined a church staff part time helping in the children’s department. We’re so excited and proud of her. It’s amazing to celebrate together the life change that we’ve seen in so many students this past year, and these are just some of the stories! I hope you enjoy the video montage of the baptism service we had celebrating these stories of what God has done. Brandon’s Dad had another MRI this past week checking on the cancer he had removed from his brain last April and he is now 1 year cancer free! Amber has been teaching herself gymnastics in her spare time and has mastered a cartwheel, round off, one-handed cartwheel, handstand and backbend. Peyton has been working hard in the Little Mermaid Jr. It opens next weekend May 7. Let us know if you want tickets! Our aunt Laurie, who lives with us, was in the hospital this past month with pneumonia is home and is making a full recovery. They do have her on a feeding tube right now to prevent future aspiration, but are trying to decide if it will be temporary or permanent. I may have to write newsletters more than once a month! Last month we had you pray for our William Paul Young event and it went amazingly. It was certainly a positive challenge for many of our student’s faith and we have seen growth in every student since our time with the author of the Shack. We also had an amazing trip to Mexico and saw five people give their lives to Jesus at our outreach. May 16, once graduation has happened, we will be starting our “Summer Worship Project.” Each Monday night we’ll have a worship night with an emphasis on creative and spontaneous worship as well as showcasing new worship songs written by members of Chi Alpha. Pray for a strong start. Finals are coming up for our students which means lots of opportunities for prayer. We’ll be doing our semesterly “Cookies for Finals” in which we offer free cookies and prayer. Pray with us for open hearts and good connections during this season. We are in the process of chartering a Chi Alpha group on our local community college, Grossmont College. 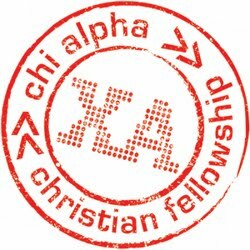 Pray for more students and for our vision process this summer to start our second Chi Alpha chapter! Also, if anyone knows any staff or faculty who could serve as our advisor, let us know!